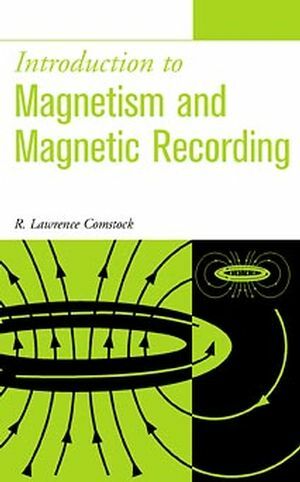 An indispensable resource for engineers and scientists working on the development and manufacturing of magnetic recording technologies, Introduction to Magnetism and Magnetic Recording also features extensive tables of the properties of magnetic materials, 30 photographs, and more than 200 graphs. Dr. Comstock retired as a senior technical staff member from IBM after more than two decades of service. He was a Vice President of Advanced Technology at Maxtor Corporation for three years. R. LAWRENCE COMSTOCK, PhD, an independent consultant, teaches in the Department of Materials Engineering at San Jose State University and at Santa Clara University. Domains in Thin Films and Processing of Thin Films. Magnetoresistive and Giant Magnetoresistive Heads. List of Abbreviations and Symbols.